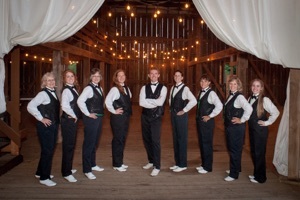 Blue Ridge Thunder Cloggers dance to all types of music including: traditional bluegrass, country, pop rock, Irish, even orchestral. 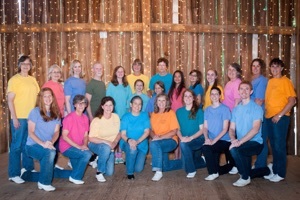 We perform at many local festivals, school functions, community events, retirement centers, malls and private parties. BRTC is Loudoun’s own! We meet in a converted barn near Purcellville, Virginia, at the foot of the Blue Ridge Mountains. It is a community where tradition and family are very important - BRTC tries to maintain that atmosphere. Many of our dancers are family groups. BRTC accepts students ages 6-101. You do not need to bring along a partner, but you may want to bring along a friend to share the fun! Your performance always brings the biggest smile to my face! You cannot sit there and not be taken in by your dancing! I love it!!! Your energy, your personalities, and your interactions. It’s just fabulous! Dancing is one of them! SUMMER ONE_DAY DANCE CLASSES - FREE!